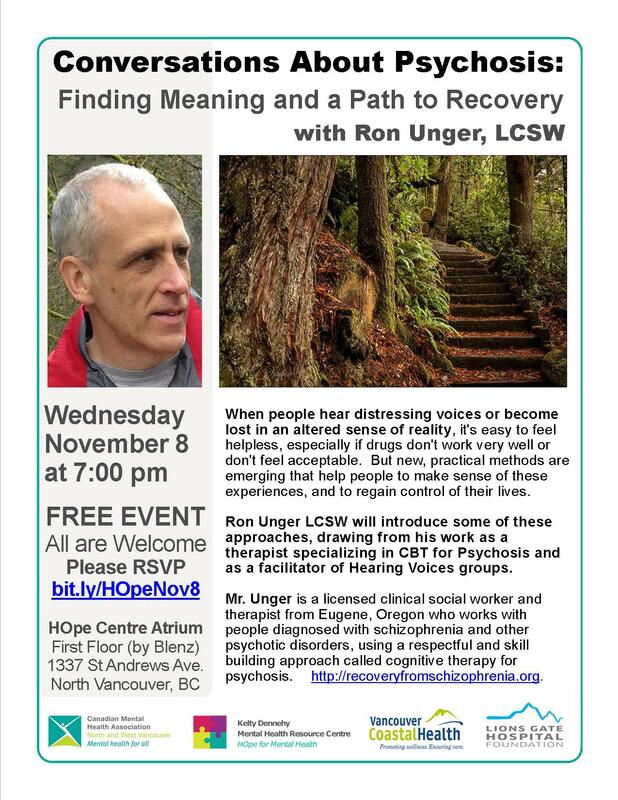 Join us on Wednesday, November 8, 7:00 PM at the HOpe Centre Atrium as we host Ron Unger, LCSW for his presentation titled Conversations About Psychosis: Finding Meaning and a Path to Recovery, presented in partnership with the Lions Gate Hospital Foundation and Vancouver Coastal Health. 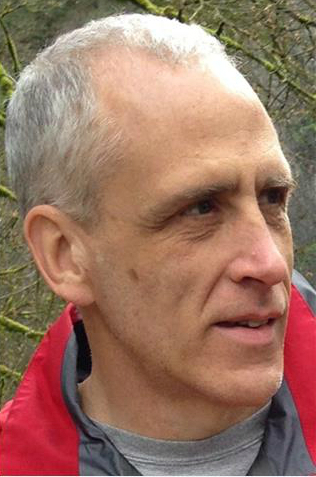 Mr. Unger is an experienced therapist, specializing in Cognitive Behavioural Therapy for psychosis, and is also a Hearing Voices support group facilitator. We are very excited to have Mr. Unger speaking for us, as he draws on these experiences, and sheds light on these complex issues. We hope to see you there at this free event! If you are interested in attending, please RSVP HERE.